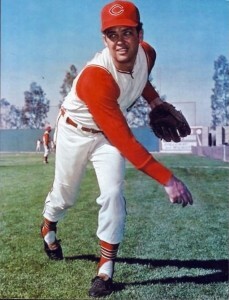 Sonny Siebert threw a no-hitter for the Cleveland Indians after promising the feat to his wife, 51 years ago today. Carol Siebert had been ribbing her husband about his pitching struggles, so Sonny had a retort before the June 10, 1966, game against Washington: “I told her, ‘If you don’t get off my back, I’ll go out and pitch a no-hitter,'” he told AP sportswriter Murray Chass. And the Columbia, Missouri-native made good on his promise. Siebert no-hit the Senators for a 2-0 win at Cleveland Stadium, just missing a perfect game by a walk and a Chico Salmon throwing error.